We all know how gorgeous Mt. Bonnell is -- hell, half of our population got engaged there. Barton Creek Greenbelt is right in the heart of Austin and has something for everyone. But what about the other beautiful parks and preserves, the ones that get a little less love (and luckily for you, slightly less people)? Grab your best girl/guy, your pup & some good shoes, and get ready to break a sweat. 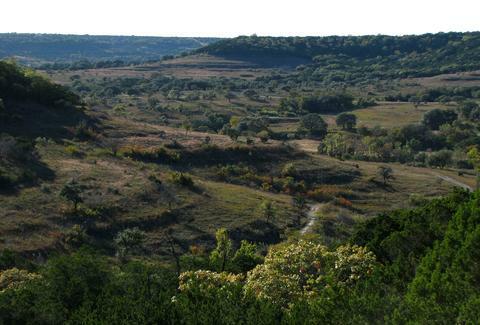 West of Austin in Marble Falls, this 23,000-acre wildlife refuge offers seven miles of trails, including one called the Rimrock Trail. Stop off at the Doeskin Ranch Public Use area and you’ll find a couple of easier loops but the real treat is Rimrock Trail -- 2.2 vigorous miles that will get you onto a plateau with sprawling Hill Country Views. No dogs allowed, be sure to take water! 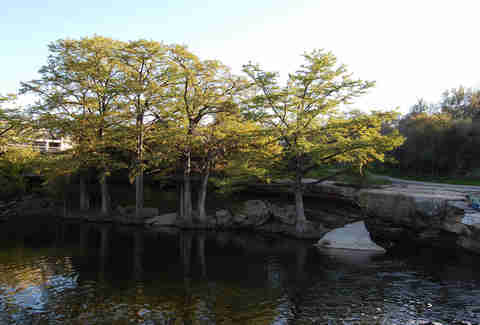 East of Downtown near the airport is McKinney Falls State Park. It’s convenient, there are just enough other people there to make it not scary, and there's a refreshing waterfall and a natural pool to swim in. There are three trails of varying length. A visit here isn’t complete without a visit to "Old Baldy," a 500-year-old cypress tree, the Smith Rock Shelter (a natural overhang used for shelter by Native Americans since 500 BC), and the remains of Thomas McKinney’s homestead. McKinney was a racehorse breeder and one of Stephen F. Austin’s original colonists. The park is built on land that comprised his ranch. $6 entry, Dogs allowed. Don’t miss this hidden gem of a park! Located right off South Congress near Oltorf, it’s a nature preserve with a one-mile loop trail, plus lots of "bunny trails" to explore. There are a couple of great views from the trail and it's just a hop away from the warm, spring-fed, FREE Big Stacy Pool. Be sure to check out the hill that St. Edwards is built on -- it’s actually an ancient volcano! Take water! Dogs allowed; no restrooms or water fountains. Located adjacent to Laguna Gloria and the Austin Art Museum off W 35th St, Mayfield Nature Preserve is a beautiful and convenient escape. There is a cottage on the grounds and just behind it is a network of trails with multiple starting points. Choose your own adventure! 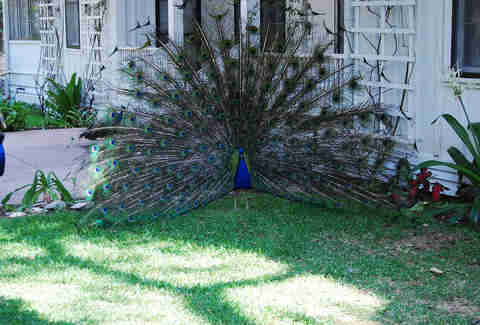 Also a highlight: the large number of peacocks who wander the grounds! 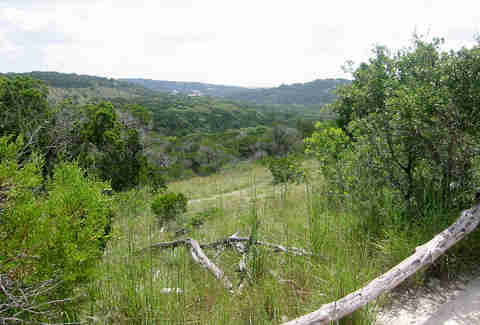 Turkey Creek Trail is in West Austin’s Emma Long Metropolitan Park, with 2.8mi of moderately challenging trails with nice scenery. It’s perfect for a good sweat-inducing walk and a great spot to let your dog work off some energy. Unlike other trails, this one has lots of tree cover. The trees bend together to create a shady canopy and look extra-creepy close to dusk. You will have to cross creeks, so pack extra socks or wear Tevas. Right off 360 where you start to see the rocky cliffs is Wild Basin Wilderness Preserve. It provides a habitat for endangered birds and wildlife, so no dogs are allowed. The trails here are not necessary difficult, but they do provide a good workout, thanks to the rocks stairs and uneven ground. The well-marked 2.5mi trail loops down into a shady lagoon with a waterfall, only to climb up to a breathtaking view of the Hill Country and the Austin skyline. There are playgrounds, disc golf, baseball fields, and picnic tables nearby, but this quiet park is perfect for hiking. 2mi of well-maintained trails that connect with Town Lake. No visit to Roy G. Guerrero Park is done without a dip at Secret Beach: the park’s not-really-so-secret-anymore strip of sand, smooth rocks, and shallow water perfect for lounging with friends, kids, and dogs! Just be a doll and clean up after yourself. Lots of parking! 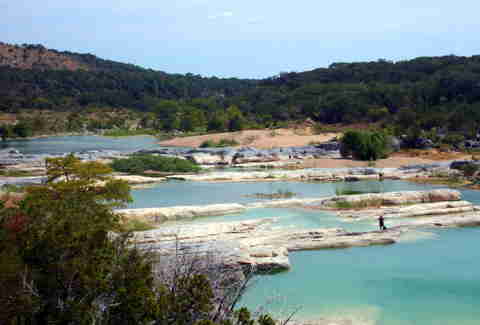 About 45mi from Austin, hikers can walk through lush forests and past springs at Pedernales Falls State Park. If you’re looking for distance, take on Wolf Mountain Trail, which is 7.4mi of dirt road (but the payoff is the historic site with a natural spring -- the perfect place to rest and cool off). The more challenging but shorter trail is Twin Falls Trail. The views and the falls (of course!) make this a perfect day trip. Dogs must be leashed, $6 entry.